Your Computer to Run Slowly. Protect Your System with DriverHive! 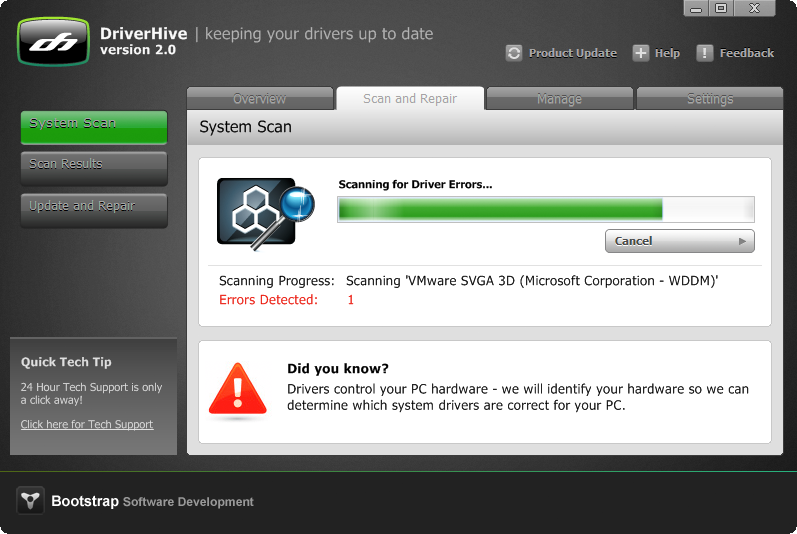 DriverHive is designed for Windows. Hardware manufacturers regularly update their drivers, in many cases to correct conflicts, stability, and performance issues. 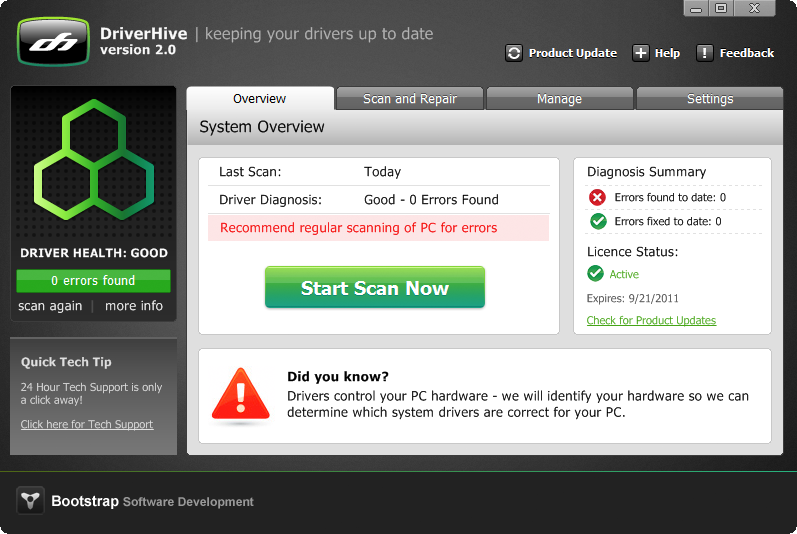 DriverHive will scan your computer, identify any out-of-date drivers you have, set a system restore point, and then download and install the most current drivers on your PC, transforming a typically tedious and time consuming task into a few quick clicks of the mouse. Maintaining updated drivers on your PC is one of the best ways to ensure top PC performance. 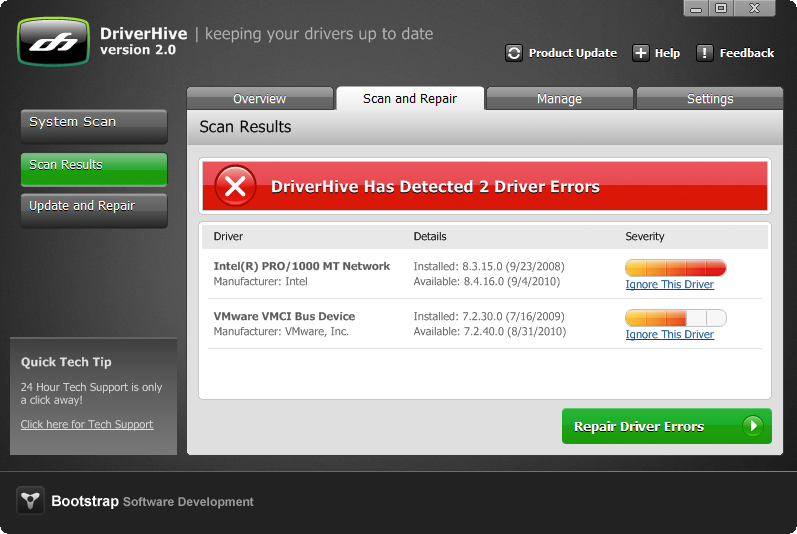 Protect your system with DriverHive!